Have any new projects coming up? Whether you’re landscaping, renovating, cleaning or rebuilding your home, a residential dumpster rental can help ease you through the waste removal process. The process can be done in 2 easy steps. Homeowners simply fill the dumpster with their construction waste and home debris. Bargain Dumpster haulers will come take the dumpster away. There will be no added stress in your life when you decide to use Bargain Dumpster for your local projects. The best part about a residential dumpster rental is closer by than you think. Call 1-800-856-2896 For Your Quote! Don’t put dumpster rentals into the single box of construction projects. Dumpsters take a huge leap outside of the box with many local projects. Take advantage of a convenient and affordable residential dumpster rental from Bargain Dumpster. Give us a call today to get a quote for your rental! Our helpful reps will help you choose a size and schedule your delivery. Once you’re finished, we’ll come pick it up. The best part is that homeowners don’t even need to be home for drop off or pick up. No matter how much or how little waste you have, we have options for you with sizes ranging from 10 yard to 40 yard containers. Cut down on the multiple trips to dump off your trash or figuring out a game plan as to where you can dump off all of your stuff. A home improvement project is stressful enough — don’t let the debris add to that! 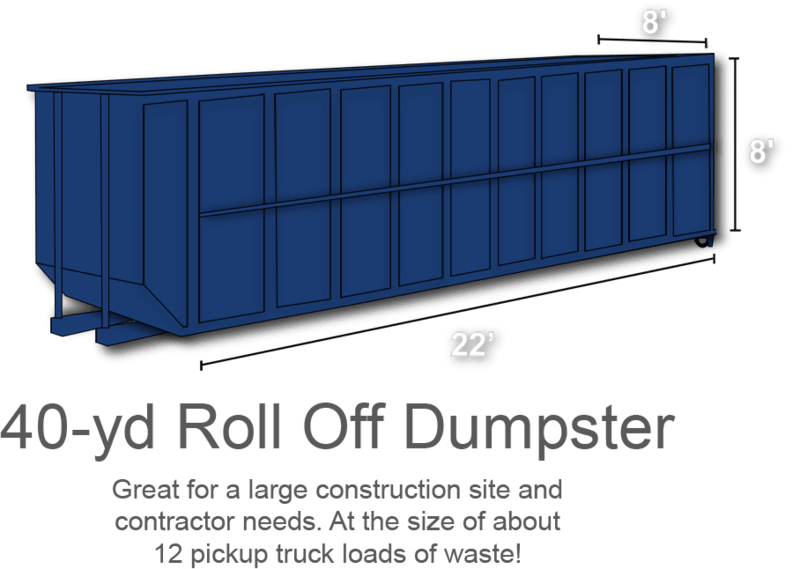 If you are in need of a slightly larger dumpster than the 10 yard, take a look at our 15 yard roll off dumpster rental. 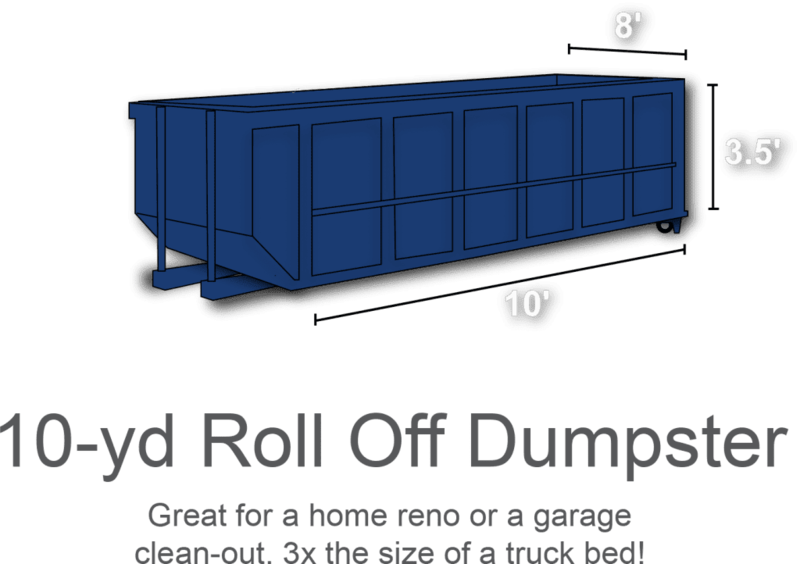 The 15 yard dumpster is also perfect for home renovation projects as well as general home clean up. Fifteen yard dumpsters hold fifteen cubic yards of material, or roughly four and a half full size pickup truck loads of waste. 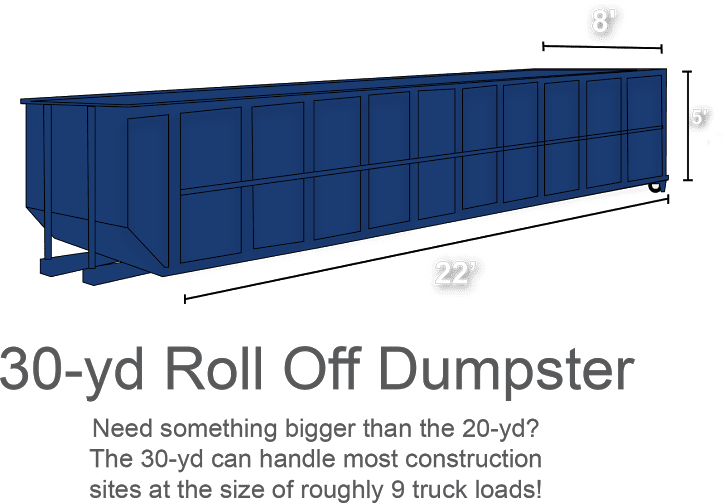 The 20 yard dumpster is the perfect mid-sized roll off dumpster for someone that needs a decent capacity, but has limited space. 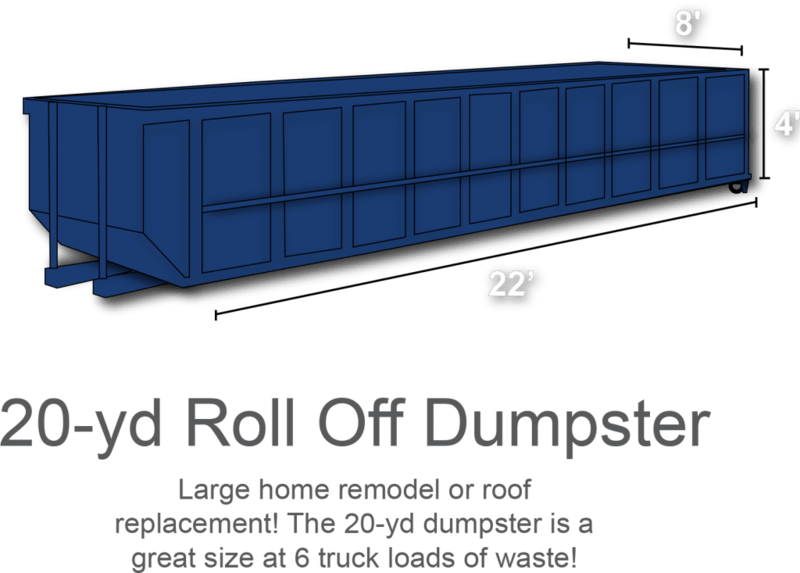 A 20 yard dumpster is perfect for larger home remodeling projects such as, additions or roof replacement. 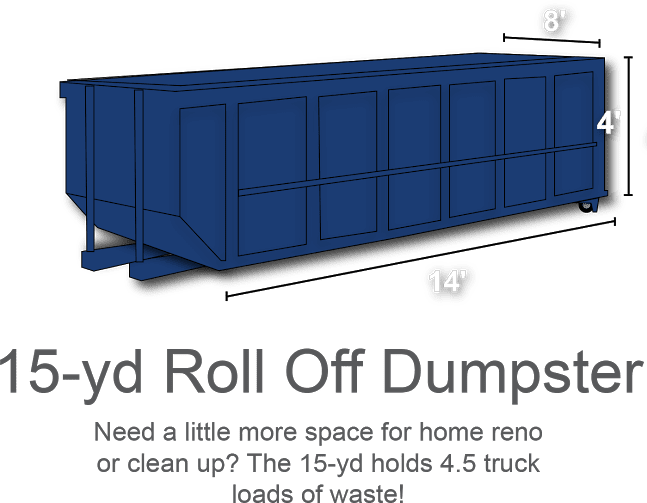 Another great thing about renting a 20 yard dumpster is that they are not so large that it is difficult to load with debris, but are large enough to handle most projects around the house. Twenty yard dumpsters hold twenty cubic yards of material or, roughly six full size pickup truck loads of waste. Thirty yard dumpsters hold thirty cubic yards of material, or roughly nine full size pickup truck loads of waste. Forty yard dumpsters hold forty cubic yards of material, or roughly twelve full size pickup truck loads of waste. The cost of residential dumpster rentals will vary based on the specifications of each project, but at Bargain Dumpster we aim to maintain affordability for all of our dumpster rentals, whether for residential or commercial use. We also provide convenient delivery to your location and can help make sure you select the right dumpster to meet your waste disposal needs. Contact us to receive a residential dumpster rental quote and we’ll help you get started on the rental process immediately.